Are you trying to learn more about chess? Do you enjoy the game casually, or do you have professional aspirations? Or do you just want to socialize with other people who share your interest in and passion for the game? Whatever your needs, you’ll find an online playground to serve them. It’s especially easy to find willing opponents to pit your skills against, thanks to the ever growing presence of thousands of servers online. Here below we have listed some good game and chess websites that are worth checking out. This is where the Grandmasters also play! This is the ultimate when it comes to chess related news. 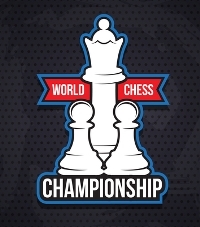 The Week in Chess produces a weekly digest that viewers can download in order to read up a condensed version of all the noteworthy events of the week. The site updates daily, offering not only news but live coverage of games as well. It also has a book review section, which can be useful if you’re studying any aspect of chess. You can also keep abreast of tournament through the trusty Chess Calendar on the homepage. And, of course, any chess page worth its salt is going to allow chess lovers to play online. While not such a popular place for players to congregate, there is always around 450 games in session at any given time. Players can on the website play against a human opponent or a computer. Here’s an interesting one. 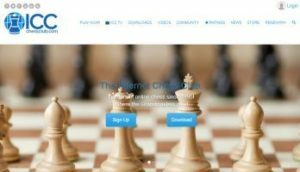 Chessable attempts to use learning science to create training tools that will improve your chess mojo. The principle is that science helps us understand the intricacies of chess learning. So the most efficient way to learn the game is with the help of neuroscientists, psychologists and educators. The site uses demonstrable scientific theories, like spaced repetition and scheduling, which states that people achieve peak learning ability when they review and revise their knowledge in increasing time increments instead of on a regular basis. Chessable applies this theory by using a scheduling mechanism that nudges the learner to revise efficiently. If you get a chess move right, you’ll see it after a significant amount of time has passed. But if you get it wrong, you’ll see it much quicker since you need to review it more urgently. That’s just one theory of the many it utilizes. Research on dopamine and declarative memory is implemented, as is a focus on imitation and implicit learning. The site also sells books on chess to provide a more detailed study of the game. Additionally, it features a blog that mainly focuses on strategy. This website isn’t updated regularly, but it’s worth a visit just for the tools. It boasts some unique and cool training materials, like a chess endgame simulator, visualization training and diagram generator. It also has a puzzle creator and a puzzle app that you can download on your phone. And of course, as the name suggests, the website is a repository of videos. It specializes in videos of moves made by professional players and tournaments. If there’s a particular tournament whose moves you want to look up (say, Karpov VS Kasparov), all you have to do is enter it in the search bar and enjoy a detailed list of the moves in video form. Training videos abound on the site as well, including ones by masters. ChessKid is a child oriented website that focuses on inculcating a love of chess in school going kids. The website is designed to be child-friendly and safe. It is also organized to help coaches find teaching material and tools to manage chess clubs, and allows for tournaments and activities to be carried out easily. ChessKid has a virtual classroom as well, along with an easy curriculum as well as report card facility. The website is optimized for districts, with easy pricing for every district, and a setup for every grade in any school. Children can play with opponents around the world, and can learn from the online puzzles and humorous videos. And home-schooled kids can join in on the fun as well. The complete chess curriculum and use of report cards to track progress means that this resource can be of great help to home-schooling parents. Chess-results has one purpose: letting you know chess results. Well, the name is a dead giveaway in that department anyway. It has a massive tournament archive, with information from over 250,000 tournaments all over the globe. And it doesn’t just cover Championships and Olympiads, but also club tournaments the world over. Visitors to the site can search for specific tournaments and players, as well as the type of game. This is more of a specialized website that is designed to appeal to programmers. The Chess Programming Wiki contains all the information you need to program computers to play chess. The wiki is a comprehensive bit of work, with references provided for every aspect of chess-programming, not to mention information about chess programmers, engines and researchers. Of course, it isn’t a website for the everyman, but if you want to start up your own chess related site online, give this wiki a whirl first. Odds are that you’ll find it highly informative. DGT is the place to turn to for quality chess products. It’s a very meticulously detailed website, with neatly organized and easy to navigate sections. The website sells more than just chess related products, such as digital clocks, electronic boards and accessories. However, chess is a bit of a specialty of theirs. They have chess computers, starter boxes and electronic chess pieces, as well as traditional non-electronic chess boards. Many of the products are handmade crafted pieces, and one can often find limited edition products up on the site. Interestingly, a prospective buyer can choose to buy directly from the DGT e-shop, or they can use the website to find dealers in brick-and-mortar shops by country. The website’s marketing section keeps customers appraised of toy fairs and provides detailed information about products. The website also has a news section that focuses on championships and new product releases. Plus, chess lovers can read interviews with tournament winning players there. Copyright Nachess.org . All rights reserved.